All of our events are open to the public during the hours listed (see the “More Information” section). Unless specifically noted, all events are free. Donations are gratefully accepted! The week prior to each event we’ll post an hourly schedule of activities, so check back here for more information. Spring is just around the corner and the forces of Montcalm and Wolfe are preparing for their summer campaign. 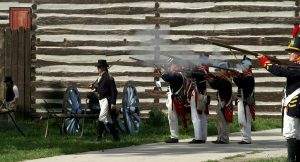 The 5th Texas Spangtown Mess will muster at Fort Wayne for drill and training. The Colonial forces prepare for battle after a hard winter. 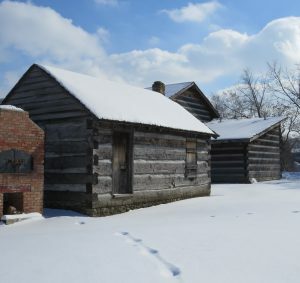 Wintertime at a frontier Fort was both a time of hard work and boredom. Find out how they coped? 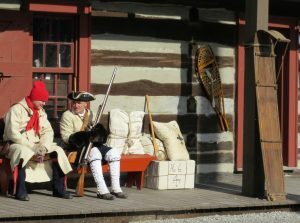 Join French Fur Traders and Native Americans as they survive the ‘dead of winter’ out on the frontier. Les habitants celebrate Christmas, in New France. 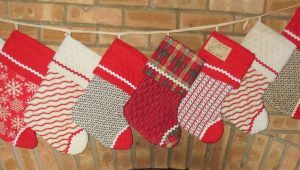 Artisans offer their traditionally-crafted wares. Children’s activities and refreshments available. Muster in the East - M.i.t.E. 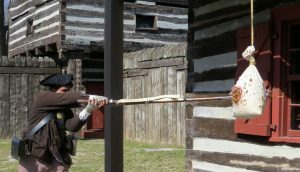 Muster in the East comes to the old fort October 13th. 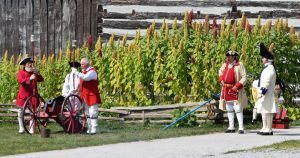 Come see historic Fort Wayne transformed into a European outpost during the Early Modern Era (1530-1650). Historical re-enactors representing times from the early Viking era through the WWII converge on Fort Wayne’s Historic Old Fort during the Three Rivers Festival. 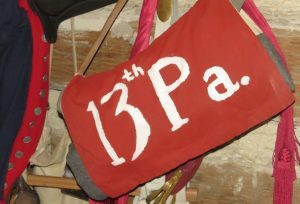 13th Pennsylvania Regiment of Foote recreates military and civilian life in colonial America. Experience ‘The Old Fort’ after dark; your way lit only by a candle and your guide. Discover the fate of Lt. Philip Ostrander. Admission $3.00, 12 and under free. Include ‘The Old Fort’ as one of your stops while “sightseeing” downtown Ft. Wayne! Known as the “Seven Year’s War”, witness French Marines, Forces of the Crown and Native Allies as they wrestle for supremacy in North America. Re-live the conflict between the King’s Forces and the colonists, throughout the founding of our country. Could you bear arms against your brother? 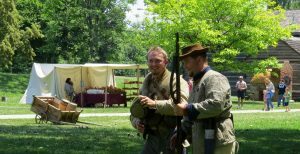 Realize the struggle of a nation divided, as it unfolded during the Civil War. In the fall of 1812, Native Americans and British Allies had captured all the other American forts in the Old Northwest Territory. Now it was Fort Wayne’s turn. Meet your ancestors, from Vikings to troops of WWII. 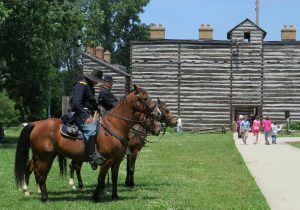 Historic Fort Wayne will kick off its 2017 season with its Education Day on May 5, 2017. The event is for local 4th & 5th grades from area public schools, private schools, and home school programs. All attending groups must pre-register. NOTE: Due to weather condition, we regretfully are canceling Education Day this year. The Muster on the St. Mary's event on Saturday and Sunday will still go on. 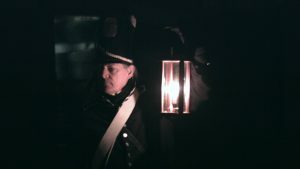 Experience ‘The Old Fort’ after dark; your way lit only by a candle and your guide. Discover the fate of Lt. Philip Ostrander. Admission $5.00, 9 and under free when accompanied by an adult. 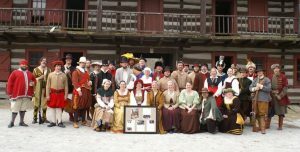 Celebrate 200 years of statehood at the Old Fort, with guests Johnny Appleseed, the Sly Run Band and Common Stock players. Experience life on the frontier as we become a new state!